Although many of SOJ's models seemed to work fine, a few of them were missing several portions of their body. After lots of tinkering with the script, I believe I've gotten it to work properly, so now all of the SOJ characters and models should be rippable using my modified script. Simply follow the guide linked above, but when importing the model into 3DS Max, use this modified script linked below instead of the one in the guide's thread. 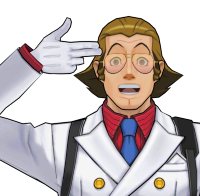 Also, I believe this script should still work fine for Dual Destinies models as well, but be sure to let me know if it doesn't. (UPDATE 4/9/2018): Changed link to point to my GitHub page, where you can always find the most up-to-date version of the script. This version (hopefully) fixes all of the bugs regarding SOJ models not being attached properly to their bone rigs.